It is quite common now to install, build, and create things on our own. The world of DIYs and tutorials has turned us away from the former installation process of simply hiring someone. 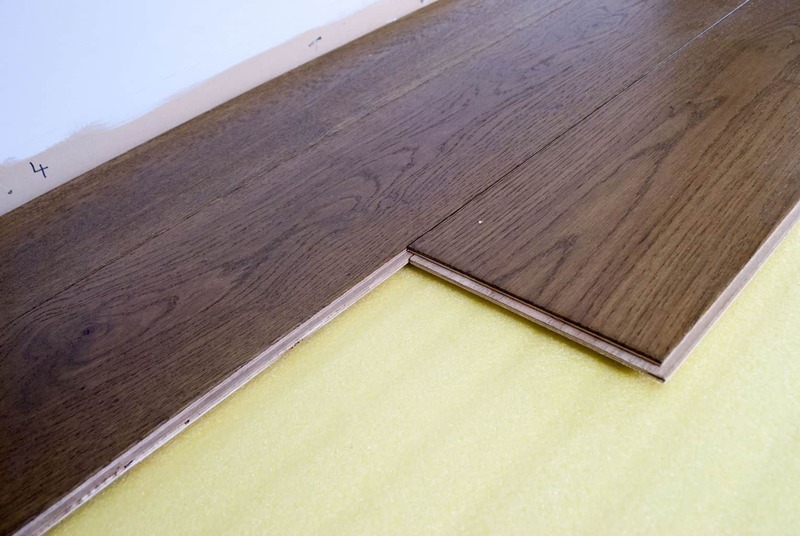 Thus, if you are about to lay your own laminate floor, you will likely need to know how to install the underlay that goes beneath it. The process is rather simple, and not too costly, so virtually anyone who follows the steps closely can accomplish this project. Related: Read our article on 'Best Laminate Flooring' - complete with reviews and comparisons for your convenience! Now, of course, if you’re installing your own underlay, you’re likely installing the laminate floor yourself as well. This would obviously involve more steps and more tools, but that’s an entirely different tutorial. 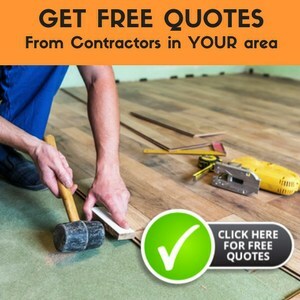 You might wonder at the significance of installing underlay for laminate flooring. Does it actually do anything? You might actually be surprised at how much underlay can help and protect your flooring. The installment of underlay, while rather simple, is the most important part of the process of laying your flooring. Underlay acts as a cushion in a way, helping to protect your laminate floor from bending or cracking. It can even help with protecting against unwanted moisture. Thus, if you’re going to lay laminate flooring, underlay is essential. So, once you have your underlay, it’s time to get started. This installation process will likely only take you a short time. 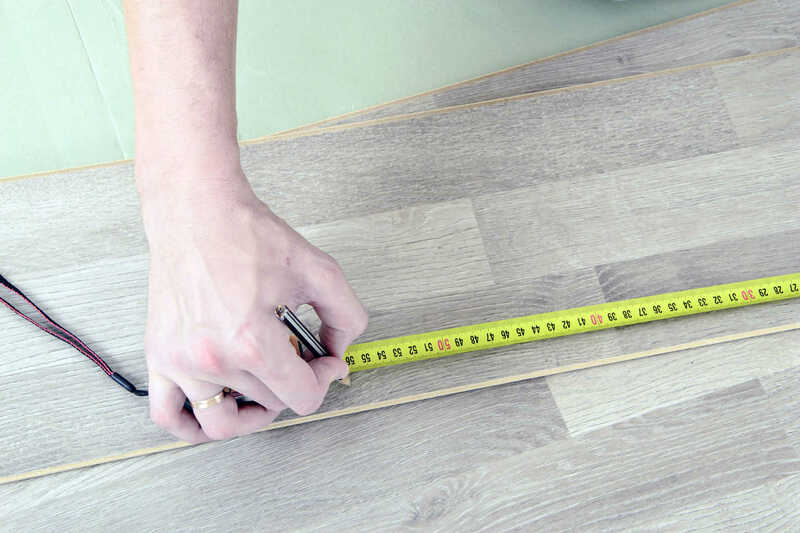 If you are trying to install your underlay and laminate flooring all in one project, it will take roughly two days to complete. It is important to note that you should have baseboards removed before you begin. 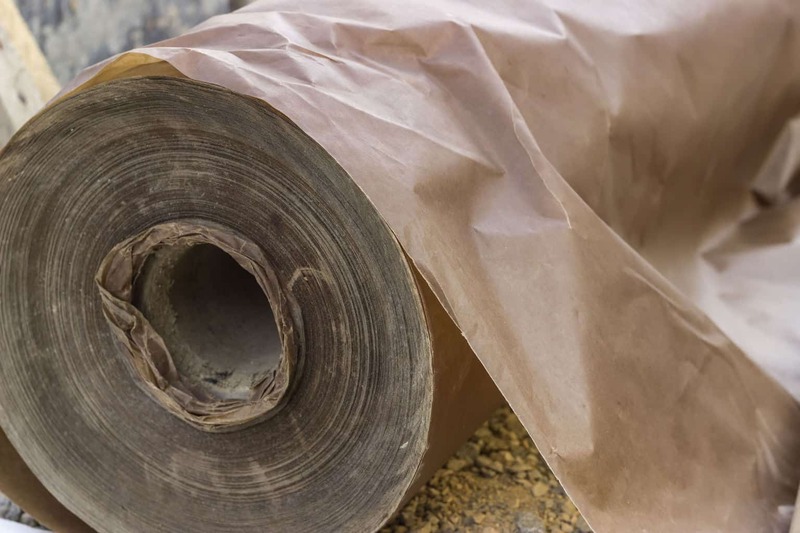 Once you have done this you are ready to unroll your underlay. You’ll notice a plastic strip on your underlay, this will eventually be covered by your baseboards. The other end of the underlay has adhesive tape. Therefore, when you begin to unroll it, you need to make sure that each piece matches up with the opposite. Essentially the adhesive will match up with the plastic. Note: Make sure that you are planning accordingly so that your underlay will be laying in the same direction that the flooring will be laying. Once you have your underlay ready, you can begin to lay it down. Make sure that the first strip you lay is pushed up against the wall and run up the wall by about 4 inches. By doing this you are ensuring that there will be no gaps. Your first piece is crucial, but once you have that in the right spot, you can begin to lay the others. Make sure that each new piece is placed right up against the other one. You want to make sure they overlap just enough so that you can peel back the adhesive tape on the first sheet to stick it to the second one. You will continue this process until you have installed the underlay throughout the entire room. You may need to cut your last piece of underlay to fit against the wall without too much excess. Now is the time to finally use the razor knife. The knife if meant to help you cut any excess underlay. This also means cutting out things like vents in the floor. To help keep things cleaner and simpler, try cutting away from your work area. 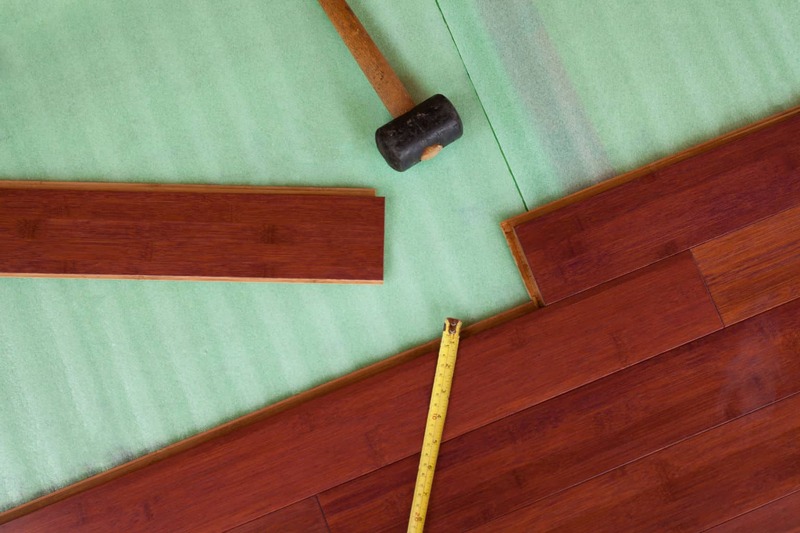 Once you have completed these four simple steps you are ready to begin laying your flooring! While this process is simple, you need to make sure it’s done right. As I stated above, underlay for laminate flooring is much more vital than some realize. If it isn’t installed correctly, it may not be able to protect your floor like it should, meaning your floor might bend or crack prematurely. And trust me, you don’t want to have to pay for and install an entirely different laminate flooring prematurely. Thus, I encourage you to take your time reading and understanding the steps before you begin to install underlay for laminate flooring. Also, be prepared to do more research into the best types of underlay. Nothing is too good for you home, so don’t rush the process. Understand what you are doing so that you can ensure that you are doing it well. When it’s finished, you’ll have a floor that everyone will love.